Phil was a fantastic instructor, making me feel at ease in the car and massively boosting my confidence. With his help I passed first time and wouldn't have been able to do so without his calm and supportive teaching. I would like to recommend Phil as an instructor who really helped me find the confidence to drive, especially on busy roads and motorways. 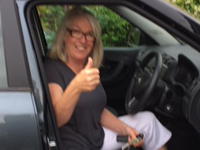 I am a woman in my sixties who passed my test but did not have confidence to drive the car on my own. After a few sessions with Phil, I can now drive to local destinations as well as further afield navigating busy roundabouts, dual carriageways and the motorway. Phil is calm and professional and gives encouragement to help you achieve your driving goals. I would recommend Phil for new learner drivers and also for anyone like me who needed something tailored for my particular circumstances. 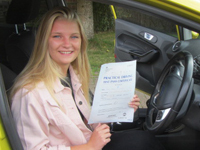 Phil really understood what I needed and we were able to reach my target to drive independently and with confidence in less time than I expected. I am happy for this information to be used by Phil and LDC and would like to thank them for the support they gave me......it has been life-changing.